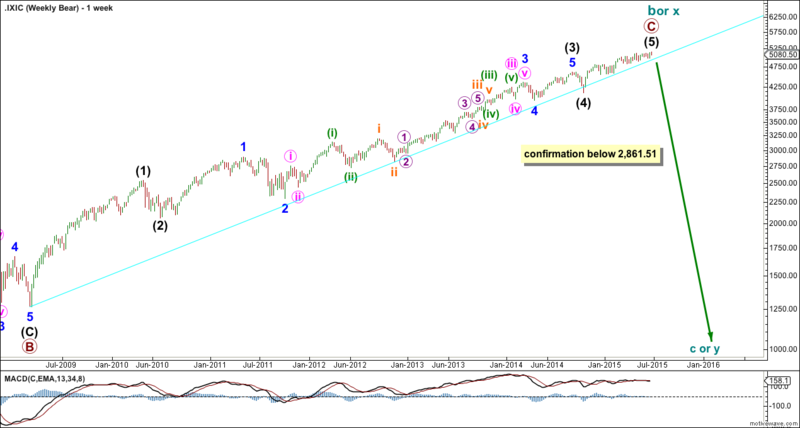 Intermediate wave (2) may not move beyond the start of intermediate wave (1) below 4,116.60. 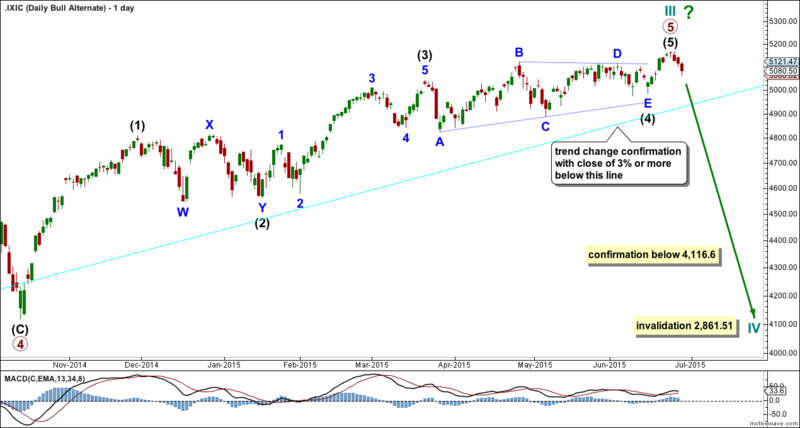 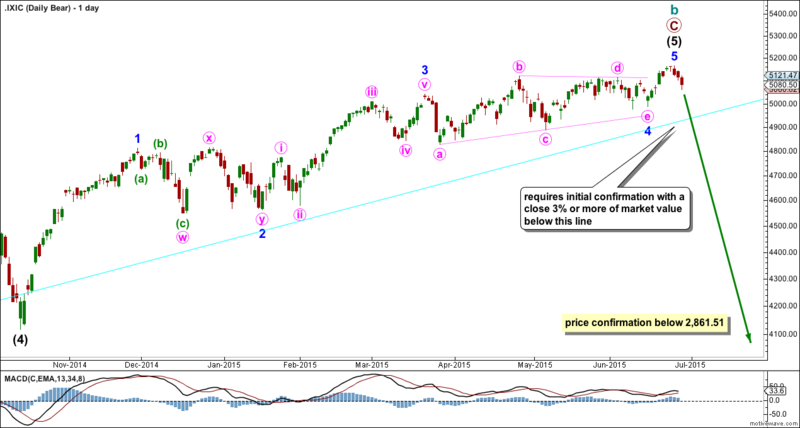 However, if the bull trend line (aqua blue) is breached by a close of 3% or more of market value, then this wave count should be discarded. 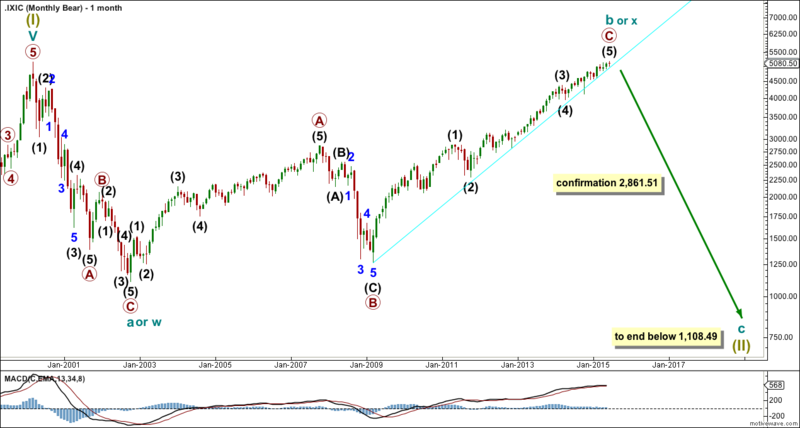 By simply moving the last impulse up one degree, it is possible that Nasdaq has just seen a cycle degree trend change. 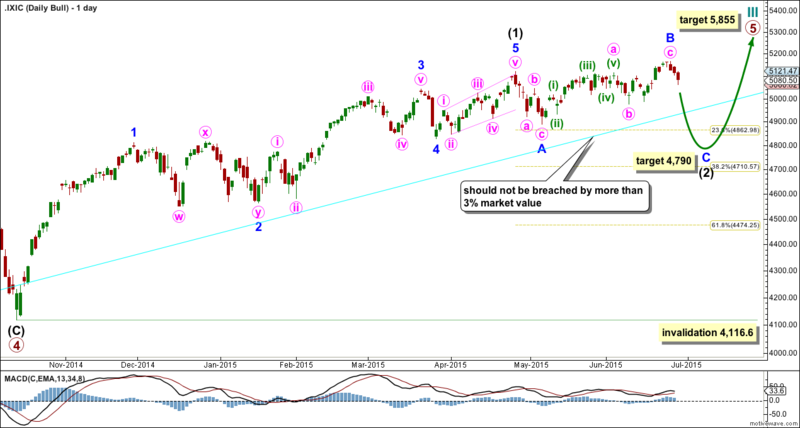 This idea requires confirmation with a close 3% or more of market value below the bull market trend line. 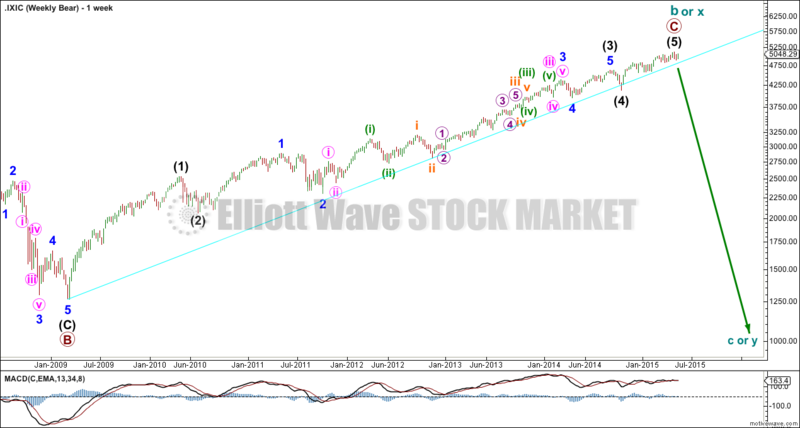 The bear wave count just moves everything from the all time high at 5,132.52 all down one degree. 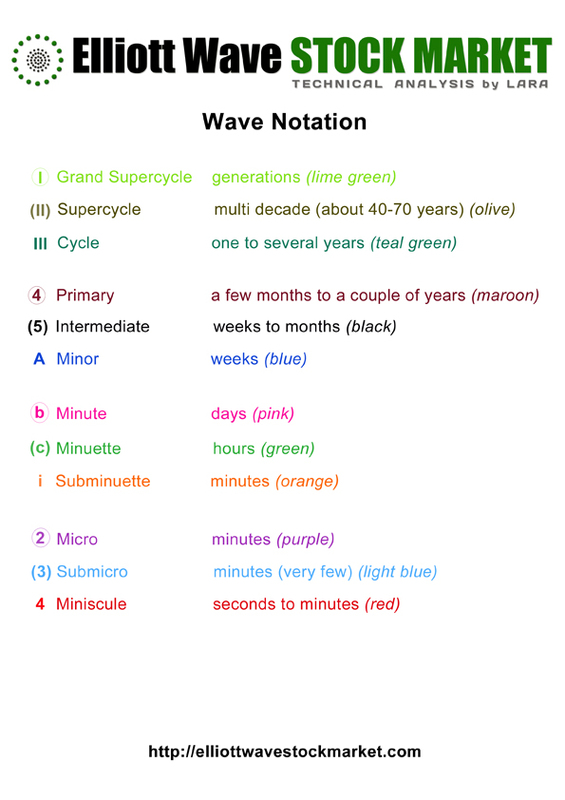 Super cycle wave (II) may be an incomplete flat or combination. 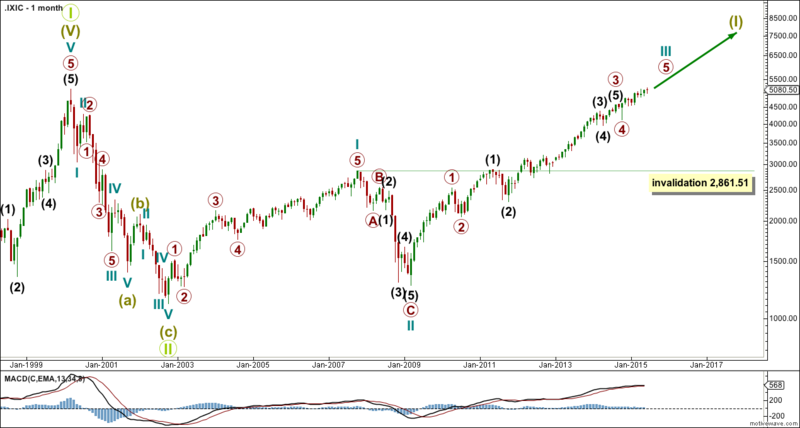 ADX is below 20 and flat indicating low volatility, very short swings, and no clear trend. 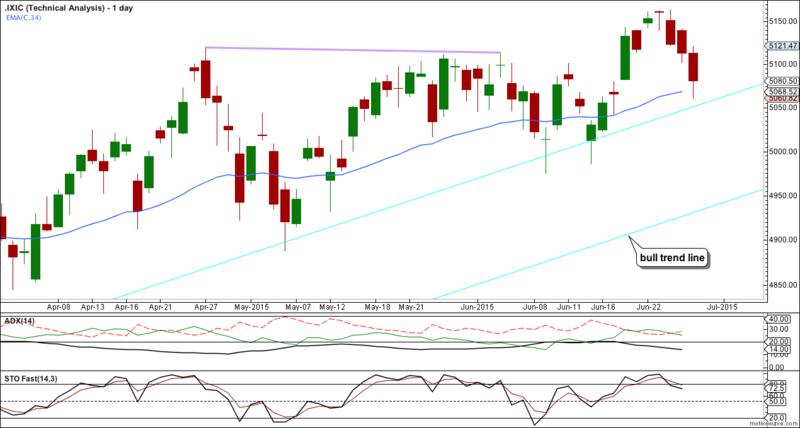 An upwards trend is still favoured while price is above the 34 day EMA and particularly above the bull trend line. 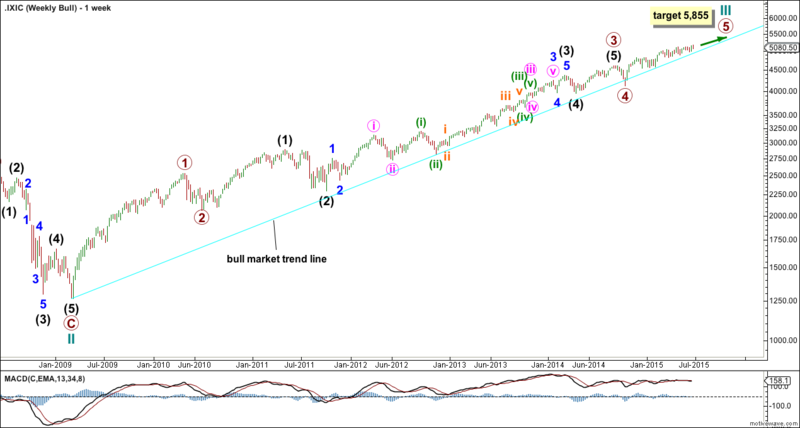 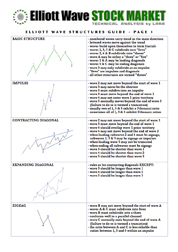 A parallel copy of the bull trend line is created to show where price is currently finding support.